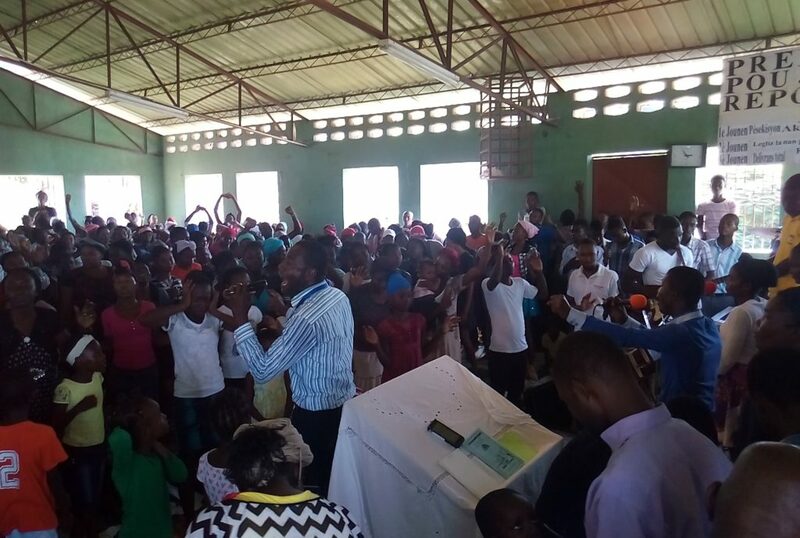 Earlier this week, members of the St Marc church community in Haiti spent three days fasting, praying, and worshiping together. Pastor Herve said, “Lots of people came and it was a wonderful time to praise, worship, and pray to God. As we worshiped Him, 5 people accepted Christ. One couple were voodoo priests and came to the Lord, and the other 3 were ladies. We went to the voodoo couple’s house and burned everything from voodoo. We will have a wedding next Sunday because the voodoo priest wants to get married and be baptized to the Lord. We are in full preparation right now with the church for our next celebration on Sunday. The church is going to take care of everything to marry them like provide clothes, rings, etc.